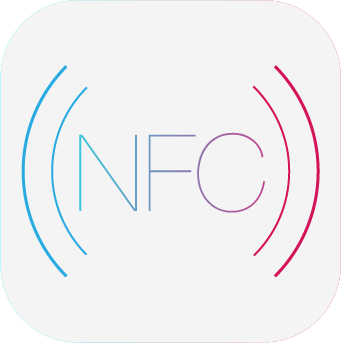 NFC, also known as close range wireless communication, is a short range high frequency wireless communication technology that allows electronic devices to carry out non-contact point to point data transmission and exchange data. NFC tag have high quality. The technology evolved from RFID, which was developed jointly by PHILPS and SONY, based on RFID and interconnect technology. Near field communication is a short distance high frequency radio technology, which runs at 20 cm distance at 13.56MHz frequency. Its transmission speed is 106 Kbit/ seconds, 212 Kbit/ seconds or 424 Kbit/ seconds three. Near field communication service combines near field communication technology and mobile communication technology, and realizes the functions of electronic payment, identity authentication, ticketing, data exchange, anti-counterfeiting, advertising and so on. It is a new type of business in the field of mobile communication. Near field communication services have changed the way users use mobile phones, and consumers’ consumption behavior gradually becomes electronic, and a new type of user consumption and business model has been established. The application of near field communication (NFC) technology has attracted wide attention all over the world. The different roles of telecom operators, mobile phone manufacturers and other roles have been carried out in China and abroad, and some international association organizations have also actively promoted the standardization of work. According to the relevant agencies in the industry, mobile phone applications based on near field communication technology will become the next killer application of mobile value-added services. NFC’s general application mode NFC uses two-way identification and connection. NFC mobile phones have three functional modes: NFC mobile phone as a reading device (reader/writer), NFC mobile phone as a read device (card emulation), and between NFC mobile phones. Point-to-point communication application. So, how do we use near – field communications? In fact, from the characteristics of the technology, we can easily conclude that the transmission distance of near field communication is very short, and the connection speed is fast. Therefore, the near field communication technology is usually built in the device as a chip, or integrated in the SIM card or microSD card of the mobile phone. When the device is applied, a connection can be built through a simple touch. For example, in applications such as door control or ticket checking, the user only needs to close a reader with a ticket or access code to a reader; in an application such as a mobile payment, the user enters a password to confirm a transaction, or accepts a transaction, and allows the user to support two units in the data transmission. When the device is close to the field communication, a connection can be established for downloading music, exchanging images, or synchronizing processing records and other operations.